They’re all over Internet Marketing like a bad rash. But unlike, say herpes, money-sites are actually a good thing. Because they put dollars in your pocket rather than pox in your pants. So what IS all this hoo-haa about money-sites then, really? 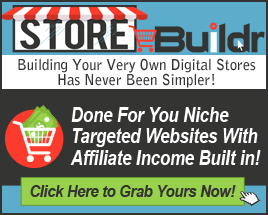 Well – the point is, these simple little money-sites can really add a lot of money to your bottom line. So it’s easy to see why so many newbies are rushing to get their hands on training programs which show you how to build them. (Learning how to build them, that is).